10 Family Passes to eXplorerkid @ Downtown East and Giveaway! You are at:Home»ENTERTAINMENT»10 Family Passes to eXplorerkid @ Downtown East and Giveaway! eXplorerkid @ Downtown East is the largest indoor playground in Singapore for families with children under 12. There are fun and challenging play stations for kids, relaxation facilities for accompanying parents and guardians. Come to eXplorerkid @ Downtown East and join the Dad & Me Health & Adventure Quest specially organised to strengthen father-child bonds! Work together to overcome a series of (simple) obstacles, solve health related questions and bring home freebies and goodie bags! • Attractive Goodie Bags for the kids! Goodnews! Thanks to Rise & Shine, we are giving away 10 family passes to eXplorerkid @ Downtown East! Each winner will receive family pass for admission for 2 adults and 2 children to eXplorerkid @ Downtown East and take part in the activities organised by Rise & Shine. 3. Comment on this blog post what is the correct date of this event? 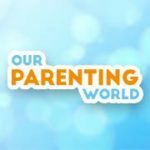 This giveaway is only for fans of Our Parenting World and Rise & Shine. The giveaway is proudly sponsored by Rise & Shine. Winners will be announced and notified on 20 May 2015. Congratulations! Rise & Shine organisers will be contacting you shortly on your prize collection. Have a wonderful time at the event with your family! Thank you to our kind sponsor, Rise & Shine for the fabulous prizes. It will be nice for me to win a family pass as I will be bringIng my family for a staycation at Downtown East. Thanks for the generous giveaways. My gal likes to go eXplorerkid! Thanks for the Giveaway, hope to win! !